Every year more than 640 Australian Children will be diagnosed with cancer. Every week nearly three Australian children will die of cancer. We just don’t hope to do it. Sixty years ago cancer was a death sentence for a child. Now eight out of ten children will survive. What made that huge difference? As the only independent medical research institute in Australia wholly dedicated to children’s cancer, our role is vital. Because despite our progress, cancer still kills more children than any other disease. Out task won’t be easy –childhood cancer is hugely complex – but we are confident with the brightest brains, the best facilities and greatest determination we will get the job done. Children’s Cancer Institute has state-of-the-art laboratories that are fully equipped for molecular and genetic research studies. 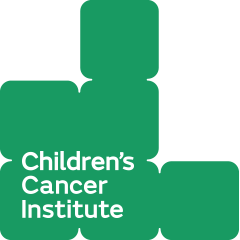 Children’s Cancer Institute is the only independent medical research institute wholly dedicated to finding a cure for childhood cancer. Remembering us in your will is a generous way to make a big difference in our search for better and safer treatments, and ultimately a cure for childhood cancer. Our bequestors come from all parts of the community across Australia. Their gifts, however modest or extensive, give hope of a future where all children with cancer will survive. You can be a part of this future by leaving a legacy that will support future medical research. This guide to the wording of your will explains the different types of bequest and the correct legal wording for including a bequest in your will. Making a donation in this way a meaningful way to pay tribute to a loved one who has passed, while supporting our research and, most importantly, the advances that such support allow us to make in the treatment of childhood cancer..
For more information on bequests, please contact our Major Giving Team. On average, nearly three children die from cancer in Australia every week. For us, that’s three too many. Curing childhood cancer isn’t a matter of if, but when. With the best and brightest researchers, latest technology and your generosity, we will get the job done. Join a community of like-minded people who believe research is the best chance we’ve got for a cure for childhood cancer. Join One Step Closer today. to make a difference in the lives of children with cancer today. For more information on volunteering, please contact our Events & Volunteers Team.